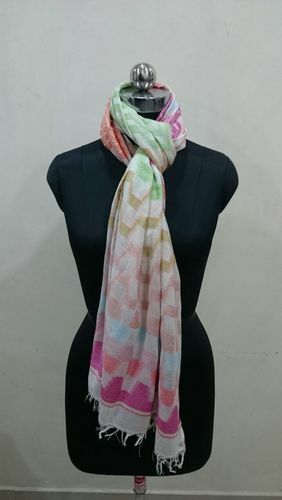 We are a renowned Manufacturer, Supplier and Exporter of Stoles, Shawls & Fabrics. Our products are widely acknowledged for optimum quality, colorful designs, intricate designing and excellent color combinations. Being counted as one of the leading manufacturer, exporter and supplier of the industry, we offer a quality tested range of wool products, viscose fabrics, silk fabrics, acrylic fabrics and more which is made using high grade material. Moreover, this range is available from the market at industry leading prices.